Made a batch of lemongrass soap this morning and guess what my whole house smells like now? To let it cool off, I set it outside on the table. 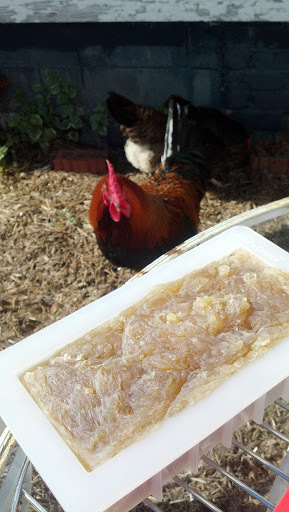 The chickens are convinced its a treat, although I'm not sure what they think of the scent.